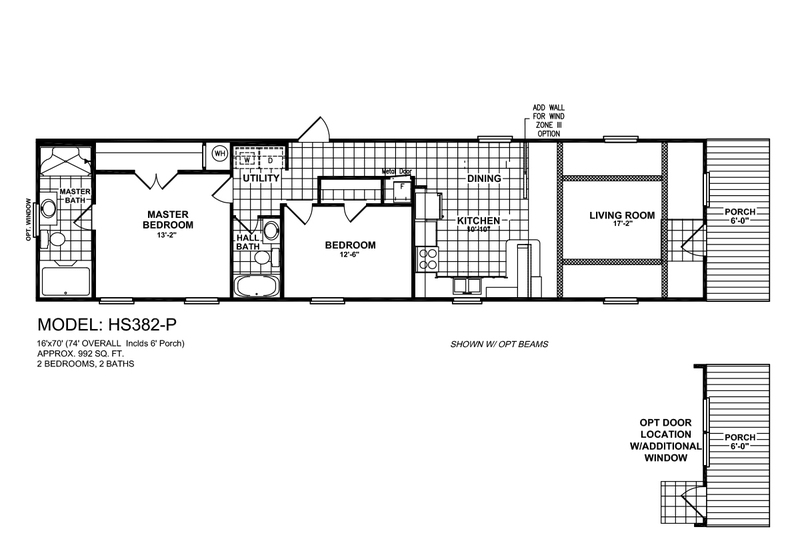 Customer preferred single section floor plan with guest bedrooms and guest bath at one end of home and private master bedroom with ensuite bath at opposite end. 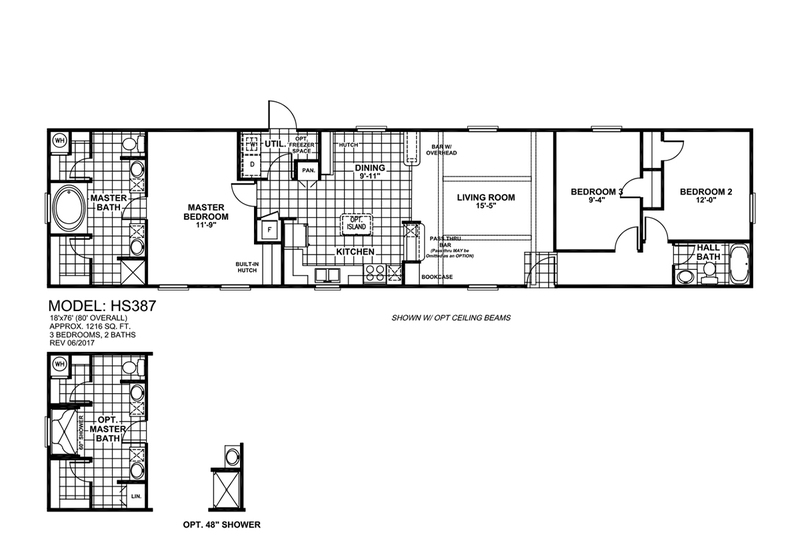 This home features a bright and efficient center kitchen and spacious living room. 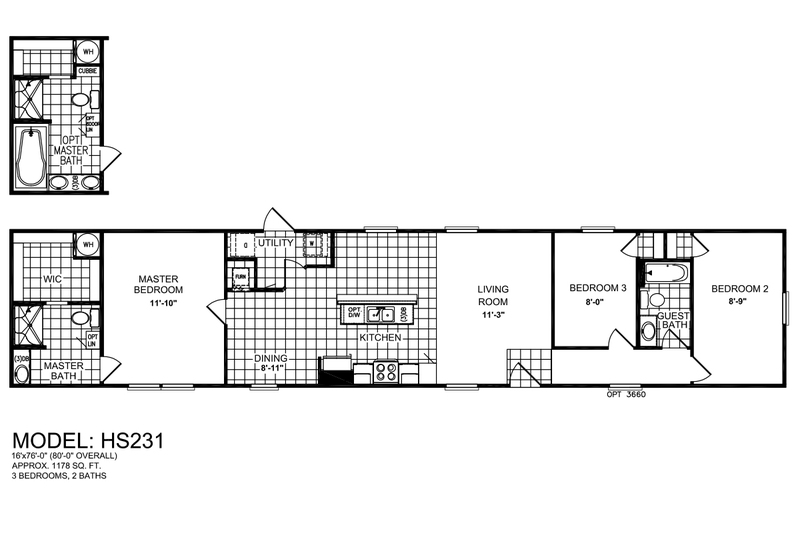 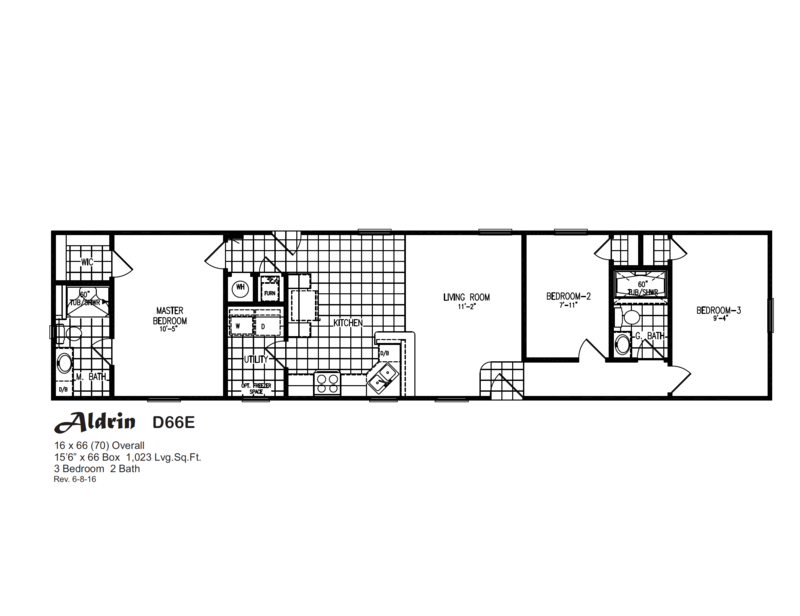 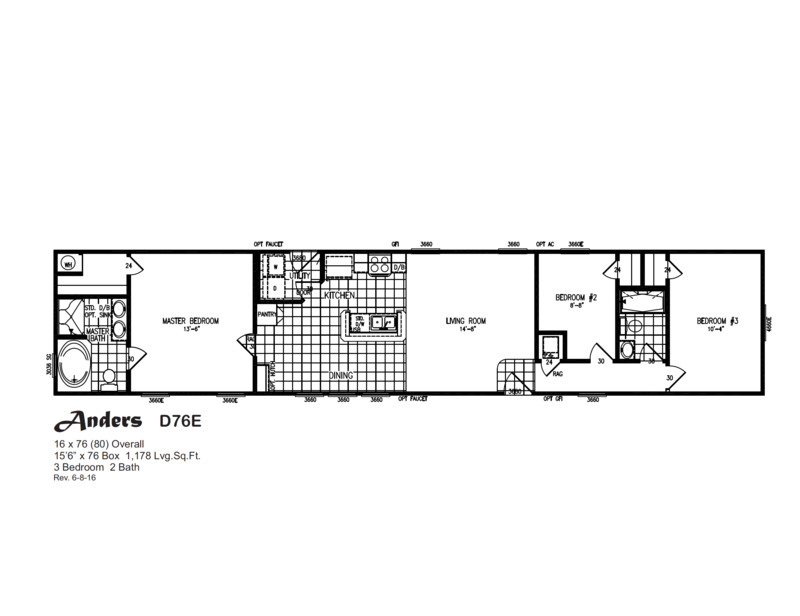 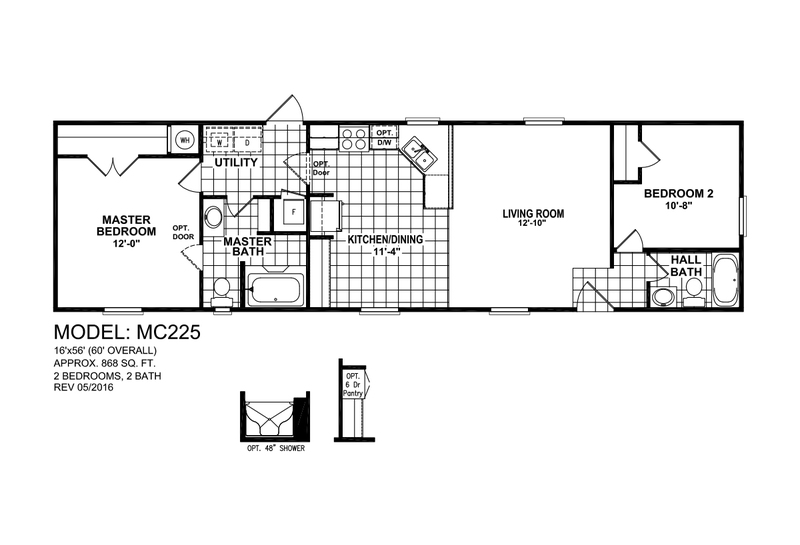 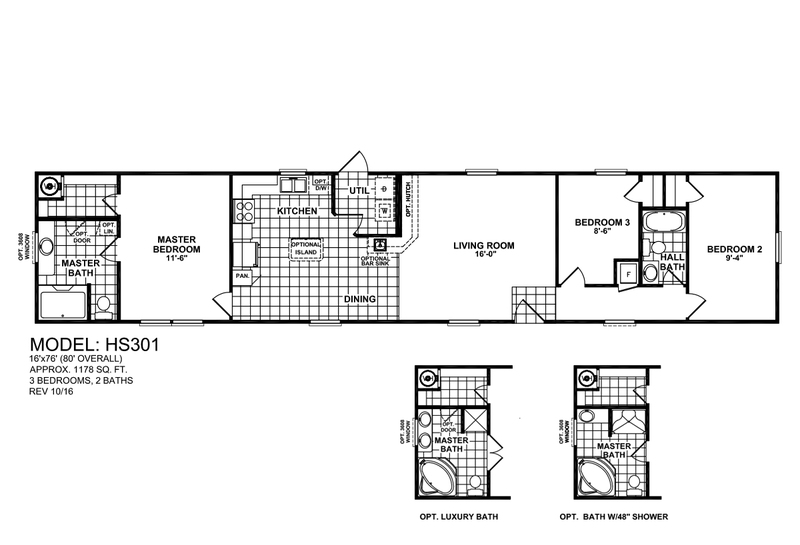 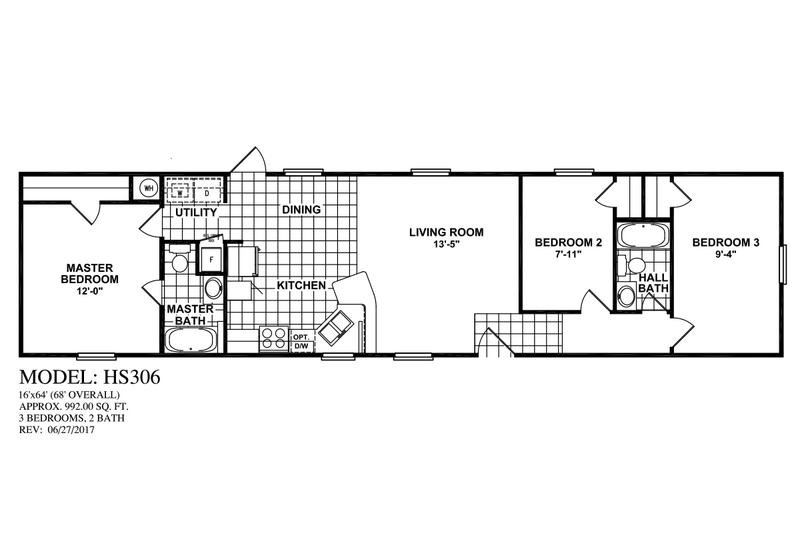 Customer preferred single section family floor plan with master bedroom and ensuite bath privately located away from guest bedrooms and second bath with center living room and kitchen maximizing usable floor space. 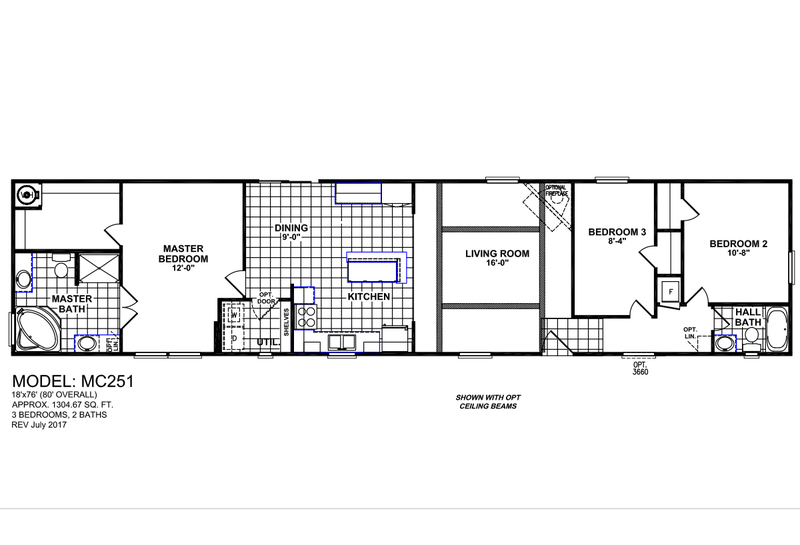 Small single section home with big features including spacious living room available with front entry covered porch, bright modern open kitchen/dining room with lots of cabinets, large master bedroom and full deluxe bath, and utility/laundry room adds additional storage capacity. 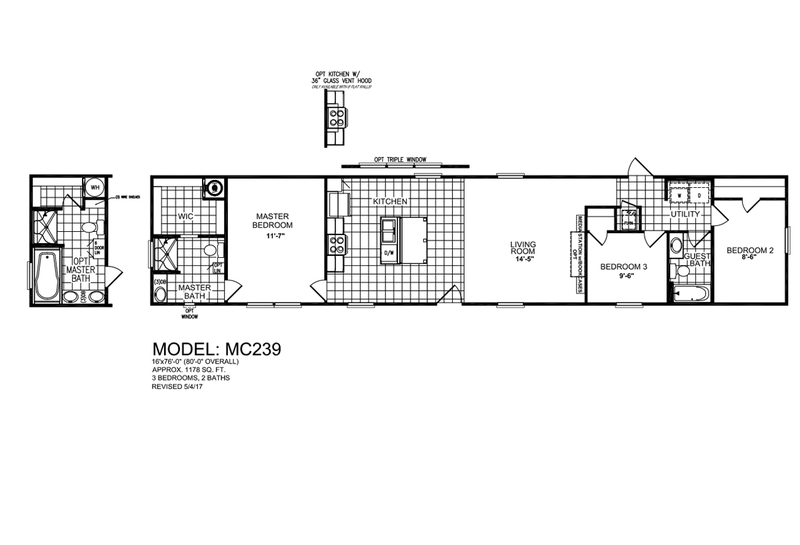 Large family home with master bedroom and glamorous en suite bath privately located away from guest bedrooms and second bath, large living room open to ultra modern kitchen and dining room. 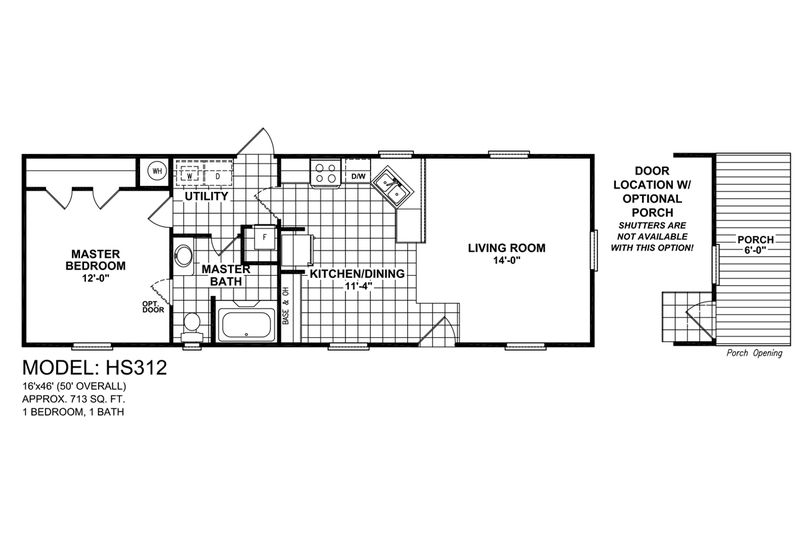 Beautifully conceived home boasts large master bedroom with spacious walk-in closet and glamorous ensuite featuring oval soaking tub, separate stall shower and “his” and “hers” sinks. 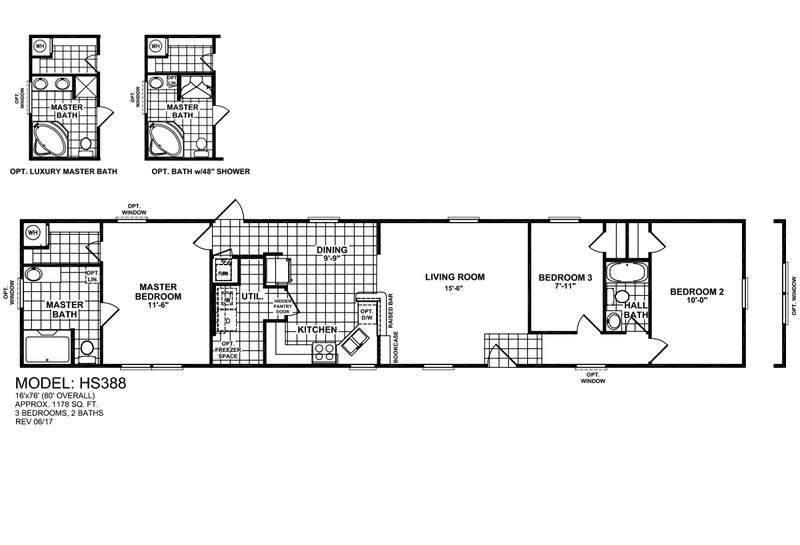 Classic single section with elegant and convenient features throughout including gourmet style kitchen with lots of beautiful cabinetry, optional center island and formal dining room with hutch.